This year my trick-or-treaters will be dressed as a princess, a fox, a puppy and a cow. Luckily for me, I only had to make one of those from scratch this year, proving that it great to have a dress up box full of options. I hope you all have a wonderful, sugar-filled holiday, and remember to stay safe! Again, thanks for sharing all your creative projects and please remember that I repost and repin your link-ups and I also try to comment on as many of them as time allows. Please help me out by browsing through the other link-ups; consider commenting on your favorites and bring a smile to each other's day! Also, please be sure to follow me! The Kitchen is My Playground shared this recipe for Candy Bar Cheesecake Pie. 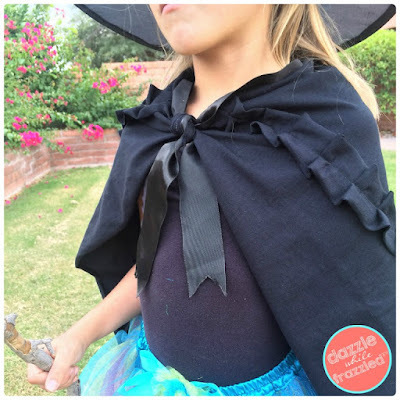 Dazzle While Frazzled made this easy Halloween Witch's Cape. Comfort Spring Station gives us some great ideas for What to Do With Pumpkin Seeds. Blowing Away Out West shared this Witch Hat Tutorial. 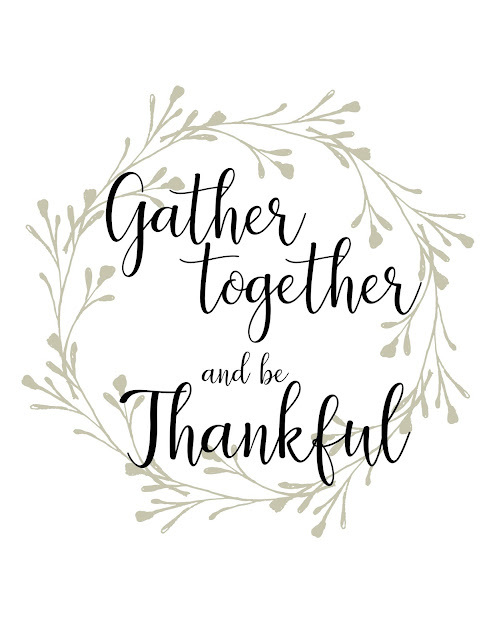 Four Season Family made thsi printable that remids us to Gather Together and Be Thankful. If you were featured, please feel free to grab a button from my sidebar. 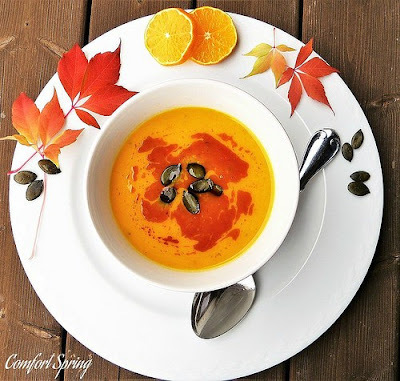 Thanks so much for featuring my pumpkin seed post and for hosting each week! Thank you for featuring my Black Witch Cape from T-Shirt. Much appreciated! Thanks for the party, Julie! Hope you have an amazing week! Happy new week! Hope it's a great one. Thanks for hosting. Happy day after Halloween! Thanks so much for the great feature. I'm truly honored. Have a great week! Thanks for the party, Julie. Hope you're having a great week.